Experienced practitioner or novice, GynoS™ Obstetric Ultrasound simulator will encourage you to pick-up the probe and navigate the complexities of the 1st and 2nd trimester ultrasound. Incorporating the standardized 20+2 approach, our training cases ensure that you learn systematically across over 50 cases, various fetal positions, different placenta locations, and doppler imaging. 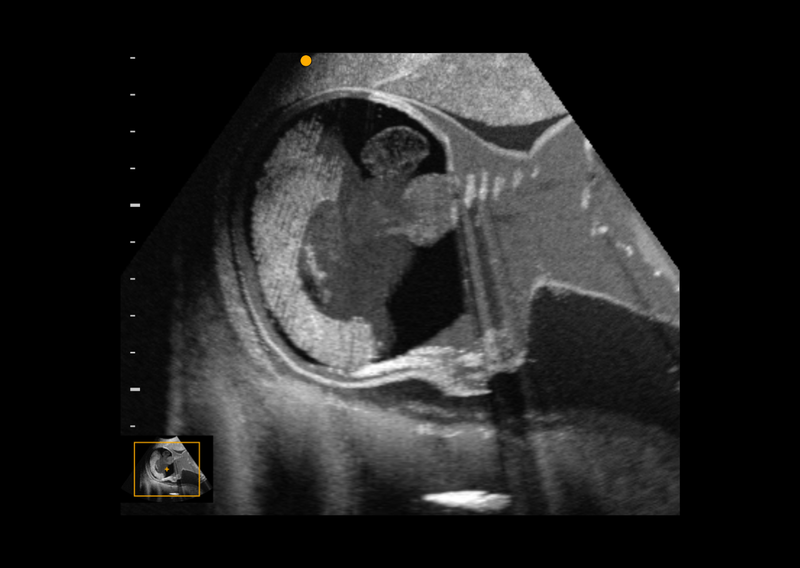 Our photorealistic graphics help you explore and understand rare abnormalities while facilitating the transfer of skills to your clinical practice. 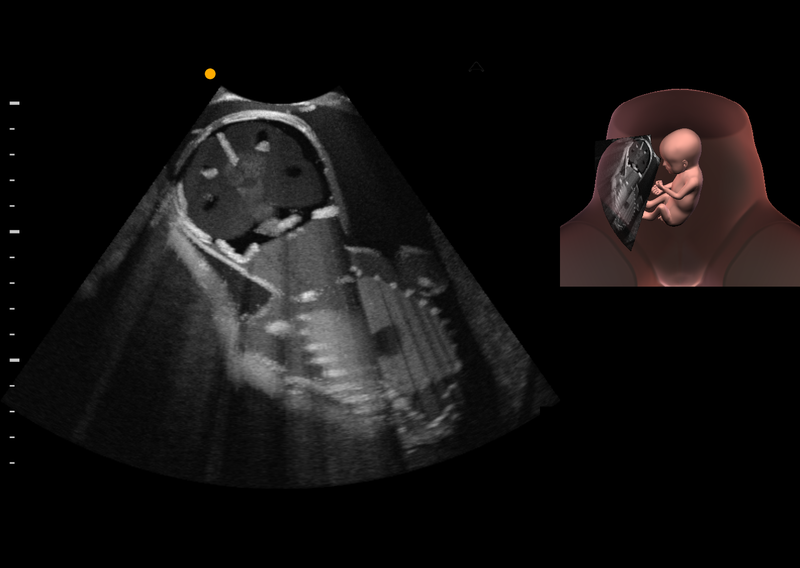 Let us bring your ultrasound training as close to real-life settings as possible. Navigate your probe freely across the abdomen and experience a highly realistic haptic feedback of the transvaginal probe. Focusing on fetal ages between 14 and 26 weeks, learn to exclude abnormalities during the 2nd trimester, such as Down syndrome and placenta previa. 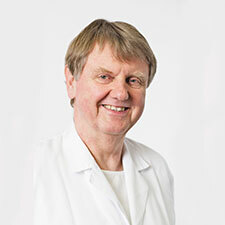 Focusing on fetal ages between 5 and 12 weeks, learn to examine 1st trimester patients, including pregnancies of unknown location and ectopic pregnancies. GynoS™ Obstetric Ultrasound can be easily complemented with training modules for hysteroscopy, IUD placement, and embryo transfer. Fetal well-being is the single most important factor during pregnancy, giving parents peace of mind. 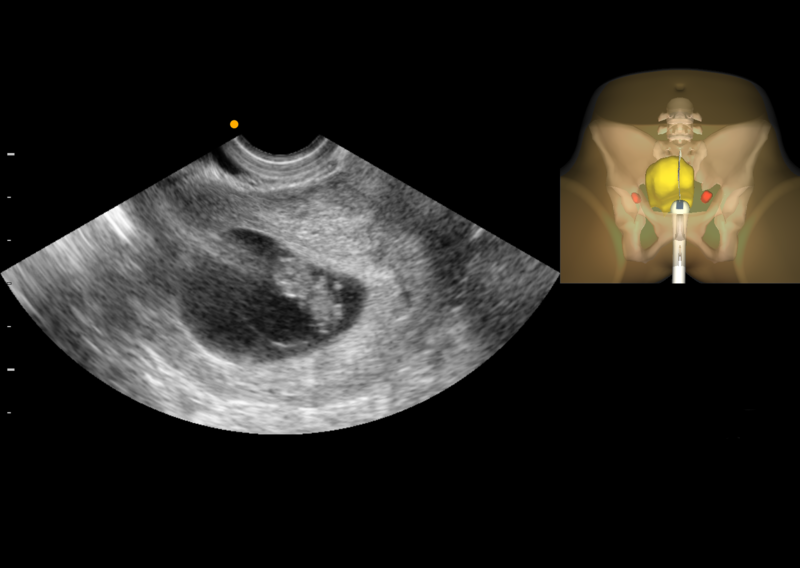 GynoS™ Obstetric Ultrasound was developed as a training tool to support you in your ultrasound training and make sure that once you are examining a real patient, you possess the skills to correctly interpret your ultrasound findings. VirtaMed is proud to collaborate with leading societies in OB/GYN ultrasound, including the American Society for Reproductive Medicine (ASRM). 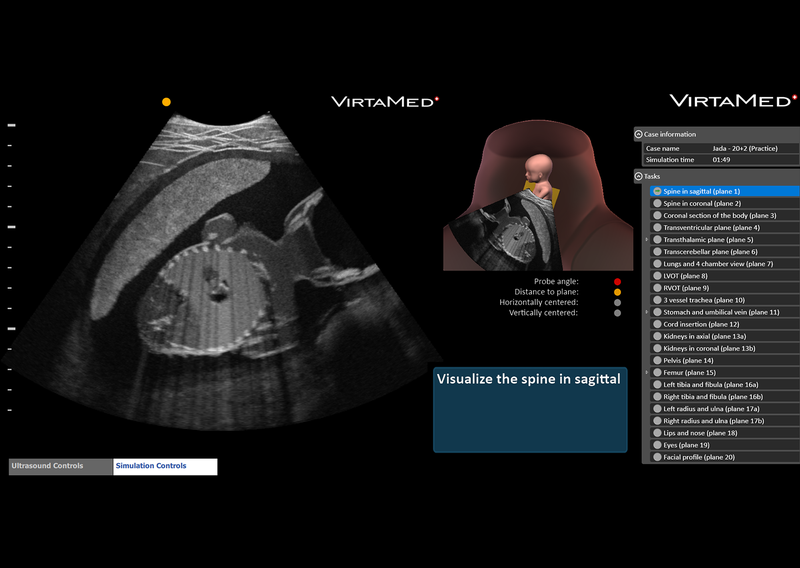 Since 2015, VirtaMed has provided ASRM with ultrasound simulation incorporated into the ASRM Embryo Transfer Simulator. 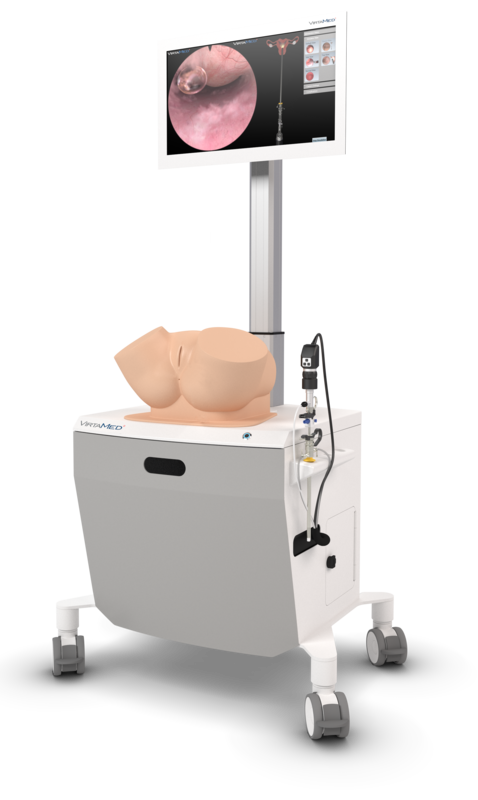 The possibility to move the probe in a realistic way and use the whole abdominal surface as a gate to achieve ultrasound images; that is how ultrasound imaging is in real life. With the VirtaMed simulator you can train how to achieve the planes as in real life, and that is the main advantage of this simulator compared to others. Contact our Sales team for your hands-on experience.